The Maritime Provinces Higher Education Commission (MPHEC), located in Fredericton, New Brunswick, is seeking an individual to fill the position of Chief Executive Officer. 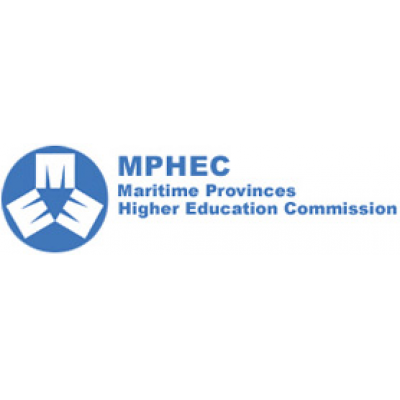 The Maritime Provinces Higher Education Commission (MPHEC) is an agency for co-operation in post-secondary education amongst the three Maritime Provinces. Accountable to the Ministers responsible for post-secondary education in New Brunswick, Nova Scotia and Prince Edward Island, the Commission serves a number of stakeholders from across the region, including the publicly funded institutions offering university degree programs, the Ministers responsible for post-secondary education in the Maritimes, and the public-at-large including students. The Commission focuses primarily on university education and its main functions are quality assurance, data and information, cooperative action, regional programs, and providing specific services to one or more provinces or institutions. The Commission's Board of Directors is composed of members representing the three governments, the post-secondary institutions, students and the public-at-large. The Commission is supported by a dedicated professional staff. MPHEC is seeking an experienced leader who will be accountable to the Board of Directors for the operation of the MPHEC, stewardship of funds, and the achievement of strategic and mandated goals of the Commission. As the Chief Executive Officer, you will be a champion for quality post-secondary education in the Maritime region, fostering a culture and a network of working relationships with Board members and post-secondary institutions, and other stakeholders in the private and public post-secondary sectors. Your experience and skills will be directed to advancing quality assurance initiatives of the MPHEC in education programming, in research and data analysis and in strategic planning associated with issues and challenges in post-secondary education. The CEO is the executive head of the Commission and has leadership responsibility for the full range of operational activities, including human resources, financial services, information services and technology. Acting, with the Chair, as the official spokesperson for the Commission. The ability to stimulate cooperative action among the Maritime Provinces in the post-secondary education sector, and to administer regional MPHEC programs and services are essential requirements of this position. The ideal candidate will be a seasoned professional with demonstrated leadership in the post-secondary sector who is able to see the "big picture" in a variety of settings. A proven track record working collaboratively with Board members and key stakeholders is essential. A good understanding of corporate governance will be considered an asset.